Greetings Tampa!! 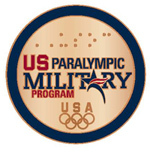 Jessica here with another Tampa Bay area events update ~ The U.S. Department of Veterans Affairs, the USA Olympics, the Adaptive Sports Program and our very own Tampa Bay Lightning have teamed up to create the US Paralympic Military Program clinics in Tampa. Military personnel who have sustained physical injuries are invited to join for an introduction to Paralympic sports... clinics will be lead by Paralympic athletes and coaches -- all skill levels are welcome!! The St Pete Times Forum will be hosting the first clinic on Wednesday, March 10, from 6:00 to 8:00 PM. This event is open to all community members with physical disabilities and there is no cost to military service men and women! Athletes will be instructed by Coach Mike Celona, along with members of the Lightning Sled Hockey Team. "This program is not just about sports; its about attitude, camaraderie and promoting healthy, active lifestyles!!" ** For more information, contact Jennifer A. Day at 813-610-6949 or jennifer.day2@va.gov OR contact Jeanene Griffin at 813-610-6437 or jeanene.griffin@va.gov.